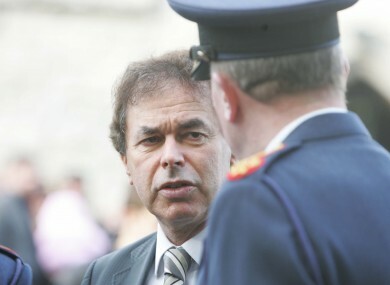 Justice minister Alan Shatter has been criticised over plans to postpone building a new youth detention centre. THE GOVERNMENT has come under attack from a number of groups over its decision to shelve plans for a new prison for young offenders in north County Dublin. The government announced last month that that plans for the new National Children’s Detention Facility – intended to be built at Osberstown near Lusk – would not go ahead for the time being. Alan Shatter, in a parliamentary response to Sinn Féin’s Dessie Ellis, said the project would not be going ahead because it was not included in the government’s most recent plans for capital spending. The centre, which was first proposed in 2008, is required because male teenage offenders are currently being sent to St Patrick’s Institution which is not considered suitable for housing them. Children’s ombudsman Emily Logan has been among those voicing concern at the closure, telling RTÉ she wanted the government to outline what its ‘Plan B’ was given that its original project would not be continuing. The Children’s Rights Alliance has urged the government to “urgently review” its decision to postpone the new centre. She added that detaining children in an adult prison was in direct contravention of the UN Convention on the Rights of the Child, and that many people housed in St Patrick’s were likely to reoffend in their adulthood. The Irish Penal Reform Trust also criticised the shelving, calling on the government to allow for interim housing of young offenders in other, more appropriate locations. Shatter said he remained committed to ending the practice of housing teenagers in St Patrick’s, which was pledged in the programme for government. Email “Government criticised for shelving plans for new youth detention centre”. Feedback on “Government criticised for shelving plans for new youth detention centre”.